Be sure you have something to cover and protect the work surface. 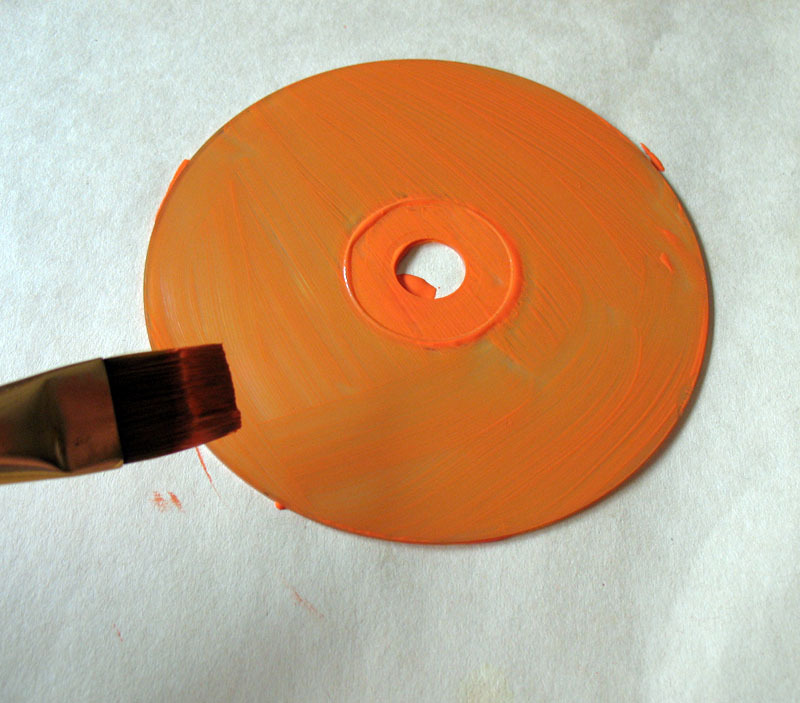 Paint the back of the disc with orange paint and let dry. 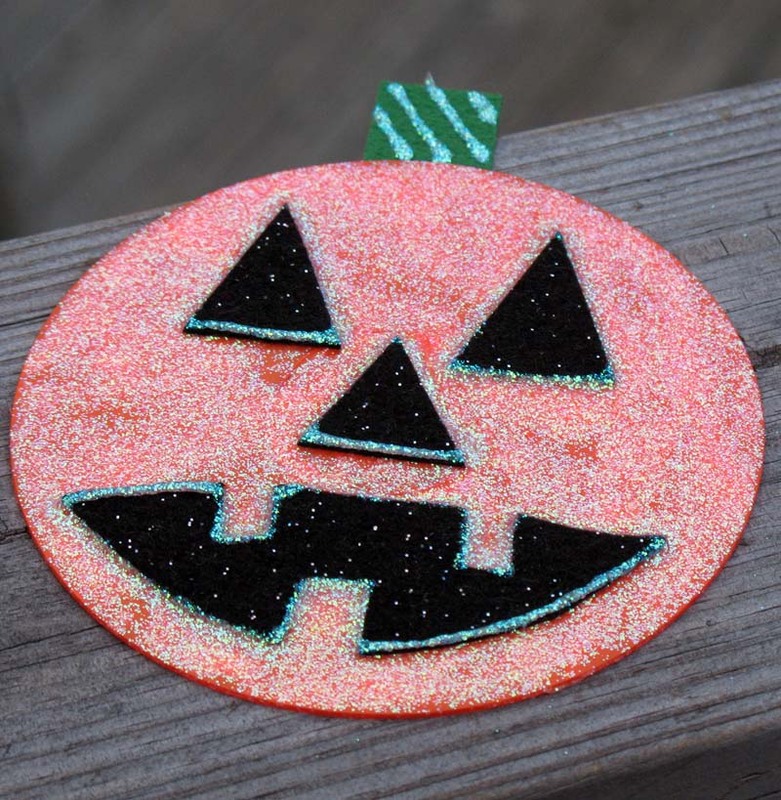 Squeeze a generous amount of orange glitter glue onto the disc and spread around with a paintbrush. Cut out the facial features from the black felt using the pattern. 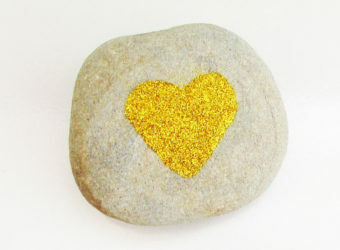 No need for glue, just gently press the pieces into the wet glitter glue. 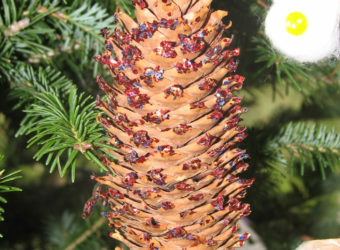 Cut a small rectangle from the green felt and glue to the back of the disc for the stem. 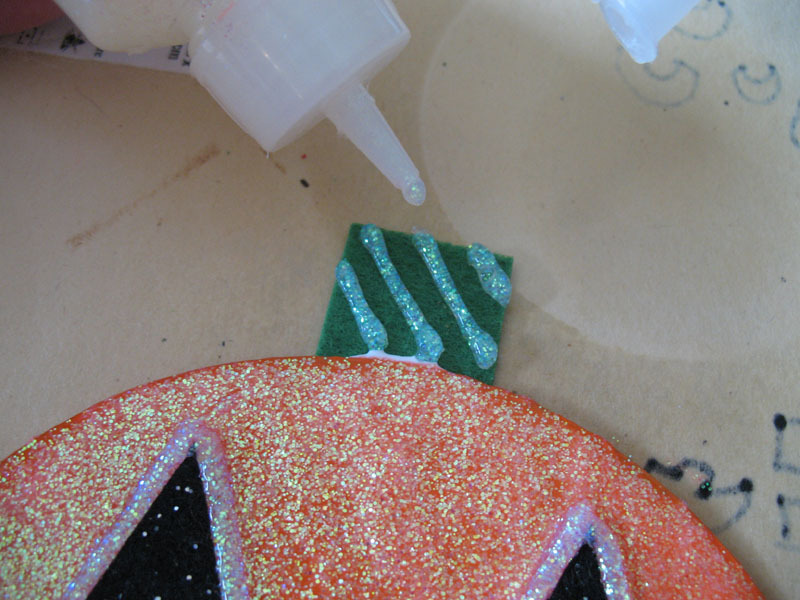 Use white glitter glue to add diagonal stripes to the stem. 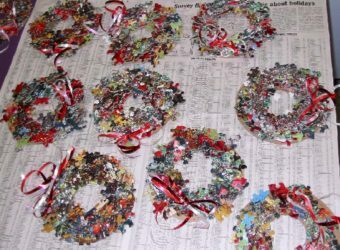 Pipe a border of white glitter glue around the facial features. 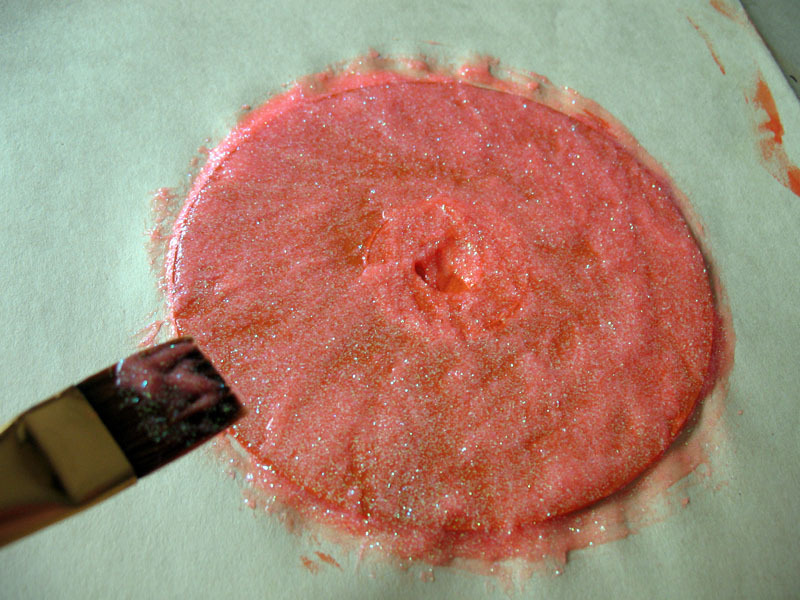 Use a toothpick or butter knife to carefully lift the wet disc and place it on a piece of paper to dry. This will take several hours to dry completely. 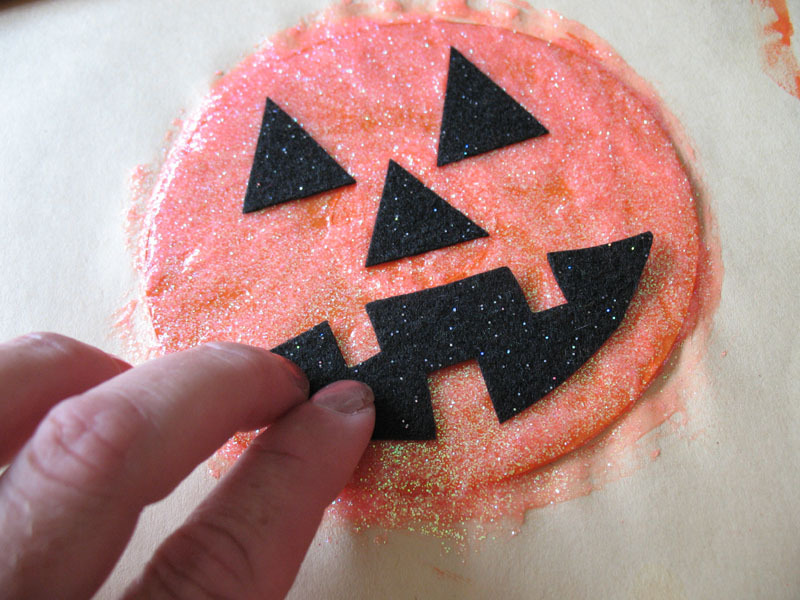 Tip: We used an older bottle of orange glitter glue, so it was a little thicker than a new bottle would be. 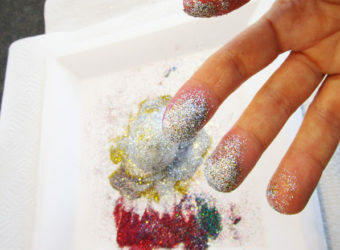 Take care when squeezing out the glitter glue, you can always add more if you don’t have enough.